Depression Therapy in Barnet, North London and Hertfodshire. What you pay is arranged between you and our inhouse psychotherapist or the professional we refer you to. Tuesdays 10 am to 9.30 pm. 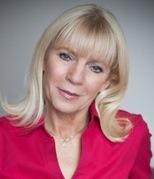 Your consultation will be with German born Margot O'Donoghue Bsc, MA, educated in Essen, Middlesex University and CFAR trained in the Lacanian tradition, often thought of as the deepest and most challenging of psychological schools. Margot has lived in North London for most of her adult life. Her experience includes counselling life prisoners in Holloway Prison as well as assisting victims of Nazi death camps. Her clients today often come from highly pressured positions in the City and the media. Your fast track to qualified professional help. We may be shocked when we are diagnosed as suffering from depression, although it is soemthing common and generally treatable this is often not the diagnosis that we were expecting. Causes include traumatic events in childhood as well as relationships with our parents, sibblings, partners, extended family and friends. Inability to focus on the job in hand. Decrease in appetite - Weight Loss. Increase in appetite - Snacking - Weight gain. Feelings of sadness, regret, anger, restlessness and lack of self-worth. Brain cells send out neurotransmitters to communicate with the rest of our body, which are the cause for our emotional state. When these chemical reactions occur correctly they protect and enhance our lives, but when they are released for no apparent reason they can trigger depression. Of course these neurotransmitters are never released for no reason, the key is to understand why they are being released. As well as discussing and understanding the reasons for depression, a well balanced diet with plenty of exercise, avoiding stressful situations and other commonsense approaches to altering our lifestyle can make a huge difference.